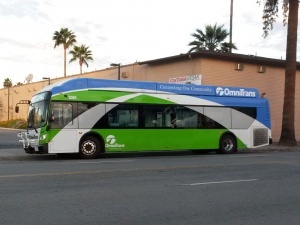 Omnitrans provides local bus service in southwestern part of San Bernardino County. Cities served by Omnitrans include Chino, Chino Hills, Colton, Fontana, Highland, California, Loma Linda, Montclair, Ontario, Rancho Cucamonga, Redlands, Rialto, San Bernardino, and Upland. It connects with Amtrak and Metrolink trains as well as Foothill Transit, Riverside Transit Agency, OCTA, Pass Transit, and B-V Link.